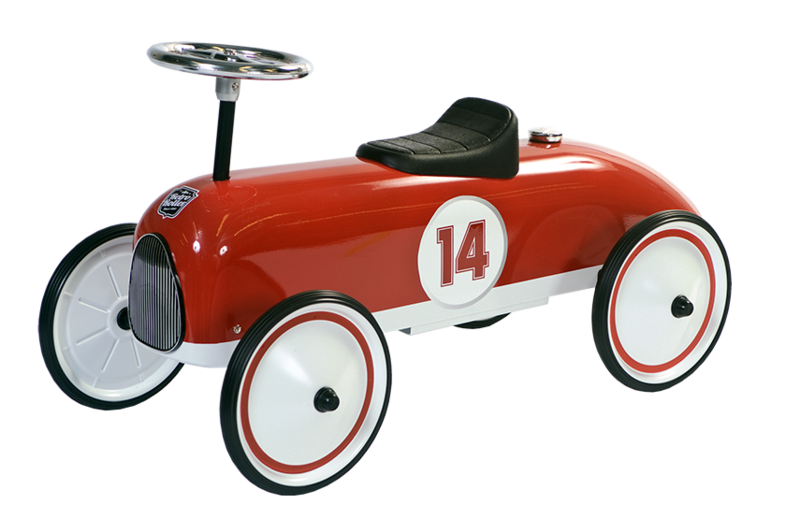 Wonderful retro-style racing car. In red and white metal. 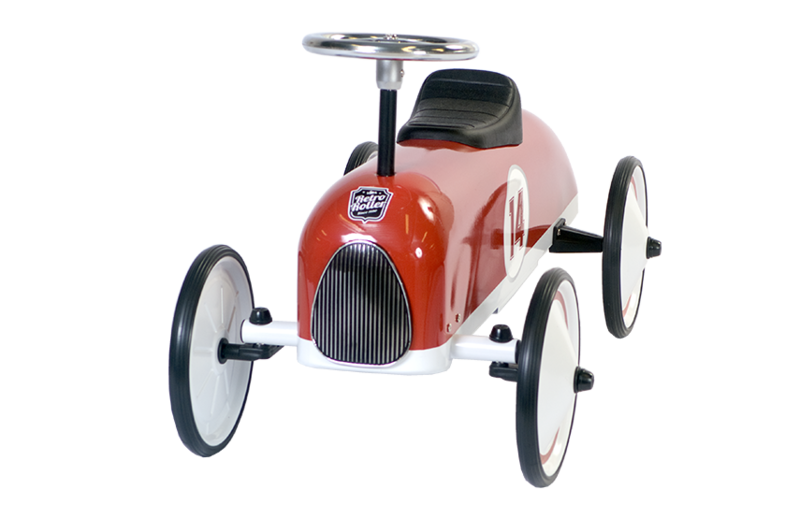 The bulk of the car is metal but the wheels have a rubberised tyre so dont worry, it won’t mark wooden floors.